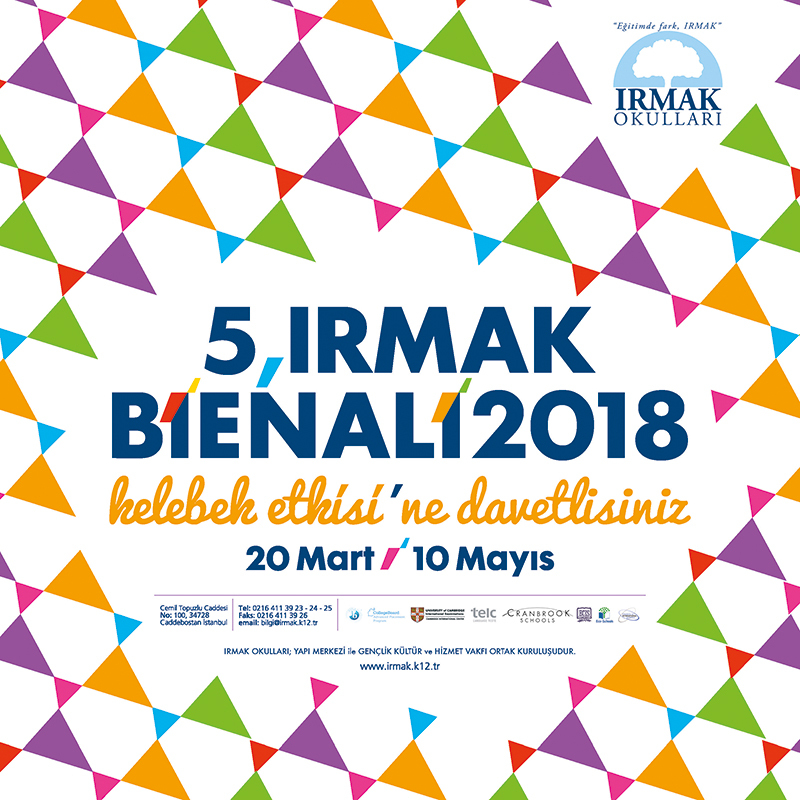 5th Irmak Biennial Butterfly Effect will meet art lovers between March 19 and April 20 2018. We chose ‘Butterfly Effect’ as our main topic in our 5th Irmak Biennial. The activities aimed to improve the students’ creativity, encourage the interest to contemporary art and expand their vision will meet the art lovers between March 19 and April 20 2018. You can watch the advertisements by clicking the links below. This page was created on 29.5.2018 10:52:29 and has been visited 564 times.